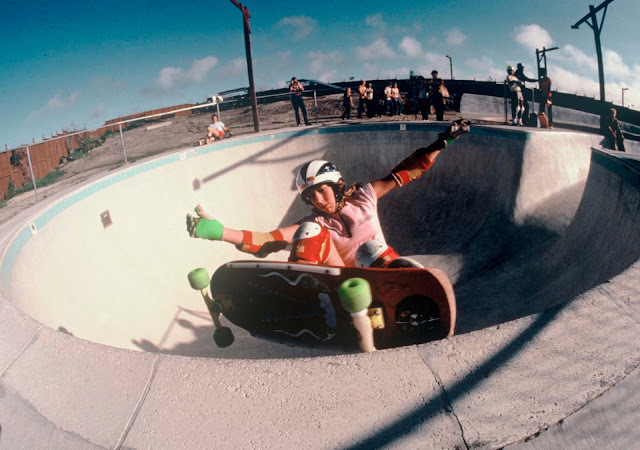 She conquered the male dominated profession of pro vert skateboarding in the 70's and quickly became one of the top ranked professional female vert skateboarders in the U.S. for pool riding and half-pipe. To this day, Cindy still holds the distinction of being the only female to be featured in the centerfold plus a two-page article in a skateboarding magazine and was the first female skateboarder to have been sponsored by Puma. In 2012 she made national headlines by skateboarding down the closed 405 freeway in Los Angeles. In June of 2013, Cindy flew to Washington, DC to sign over 9 pieces of her skateboard history to The Smithsonian’s National Museum of American History’s sports collections. Cindy was featured this past year in Puma Suede’s new book; XLV Stories of The Puma Suede - as the only female athlete profiled. 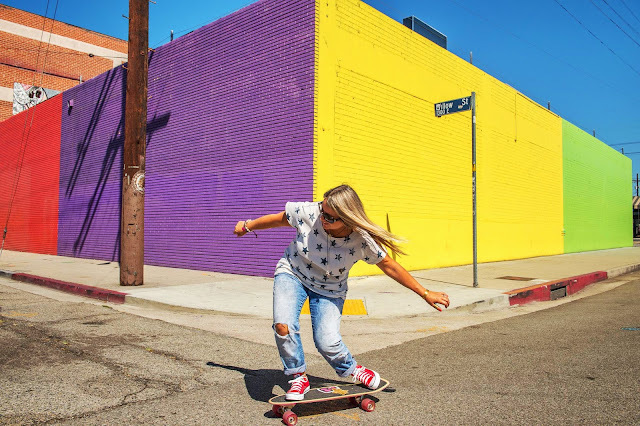 In 2013 Cindy created a brand called “Girl is NOT a 4 Letter Word” and came out with a collaboration skateboard with Dwindle Inc. (the largest company in professional skateboarding) by designing a skateboard aimed at the female market. 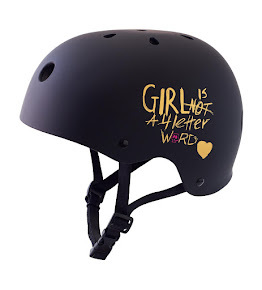 The GN4LW brand gives back to women in action sports with every collab it does and Cindy just signed an additional two-year deal for her skateboard line, and an additional collab with a XS Helmets launched in January 2015. Cindy has been profiled in magazines and sites such as ESPN, Forbes, Vogue, The Huffington Post, & Women’s Wear Daily, and has appeared on numerous TV and radio shows. Cindy has been a guest speaker & panelist at many events including; The Smithsonian Museum’s Innoskate event in Washington D.C., Chill Organizations fundraiser in Los Angeles and North Eastern Universities panel on “Participation in Sports” and Snapchat Headquarters. Cindy most recently spoke at TEDxYouth in Santa Monica, CA. Cindy's talk was titled “Girl is NOT a 4 Letter Word”. 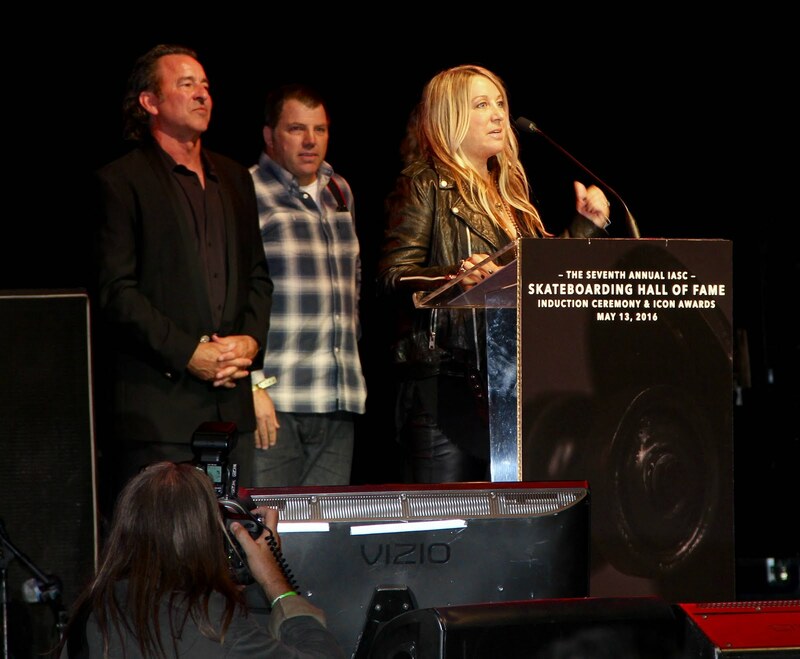 Cindy was inducted into The Skateboarding Hall of Fame on May 13, 2016 for her lengthy skate history. Legendary rocker Joan Jett, and well respected skateboarder/photographer Bryce Kanights gave Cindy's introduction speech's. 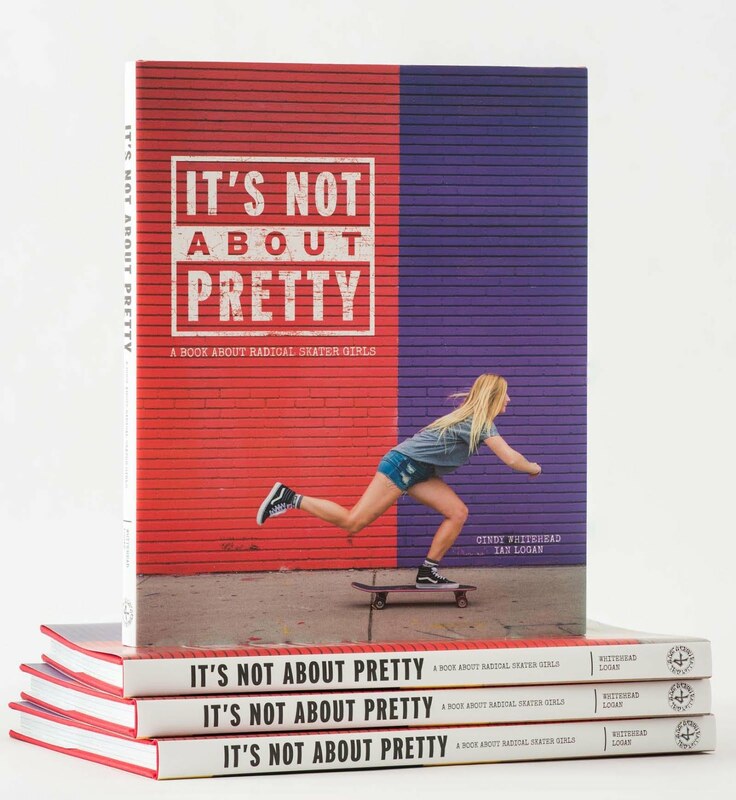 Cindy is the author of the book "It's Not About Pretty: A Book About Radical Skater Girls", published in February 2017. The 144-page hardback book is the first comprehensive photography book to be published on girls skateboarding. 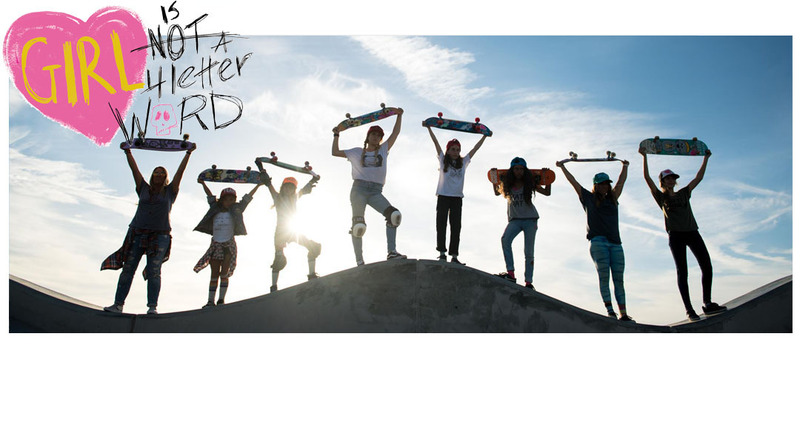 The book features 65 different skater girls skating pools, street, park, ramps, downhill, and soul skating. 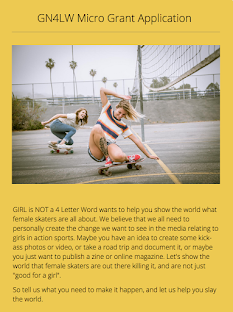 Girl is NOT a 4 Letter Word is a "Not For Profit" movement and we are proud to be fiscally sponsored by Skatepark Association International a 501c3 non-profit established in 2002. Please feel free to contact us for more information if you'd like to financially help our movement!